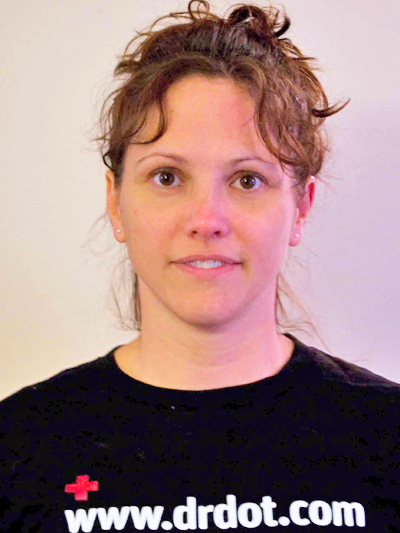 Melissa is a LMT and has been a massage therapist since 2001.She attended Onondaga School of Therapeutic Massage. 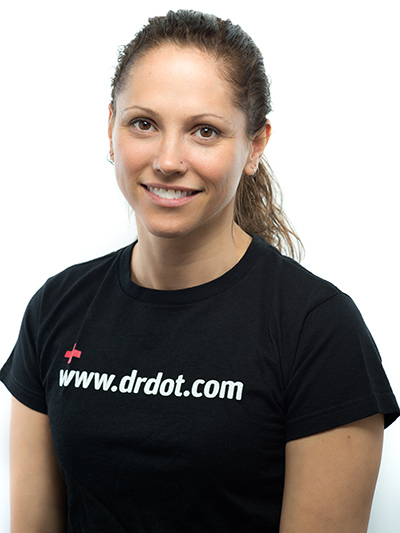 She is New York State licensed, Nationally Certified and a member of the American Massage Therapy Association.Melissa is certified in pre/post natal massage and specializes in injury rehabilitation, deep tissue, and sports performance. Melissa is currently a student of Ortho-bionomy. I am a small town girl living in the city now. 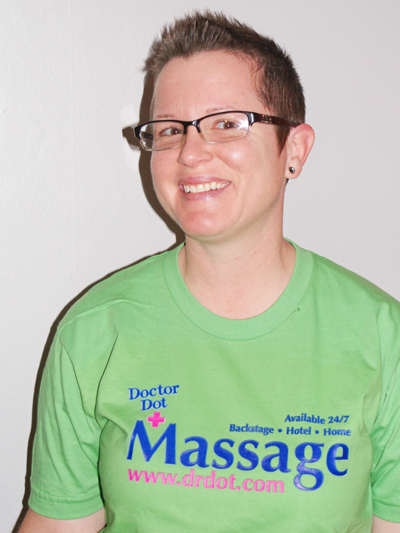 I have always wanted to help people and I am very passionate about massage and helping to relieve pain and stress. A good massage improves us physically, as well as mentally, and my goal is to make sure the massage is uniquely geared towards you. It is my priority to make sure you receive the individual treatment you need, whether you seek relief from an injury, stress, or are incorporating massage into your health and fitness goals. I have been a Certified/Licensed Massage Therapist for over 7 years, but I have been doing massages since I was about 7 years old. (My dad would probably say I owe this all to him). I have a Cherokee Indian background, which may be why I love healing people from pain. I also am passionate about animals and have rescued three special needs dogs. I, myself, know what it is like to be in pain, as I have had sciatic pain, carpal tunnel and other areas of pain. I take pride in knowing I can use my gift to help people. I can also tell if someone is out of alignment, as I have worked with many chiropractors and have learned many techniques in therapeutic massage and have the most experience with trigger point therapy. I am well known around Indianapolis for improving the health and well being of my patients/clients. I have worked on many people with tendinitis, carpal tunnel, low back pain/spasms, sciatic pain, chronic headaches and tingling/numbness in the hands or feet, just to name a few. I not only provide pain relief, but can increase your range of motion. In addition to massage, I also have an extensive background in healthcare and was a Hospital Corpsman/Field Medic in the US NAVY and have trained with the marines, as well as, a history of working with brain injury patients. I look forward to meeting & helping each and every one of you. 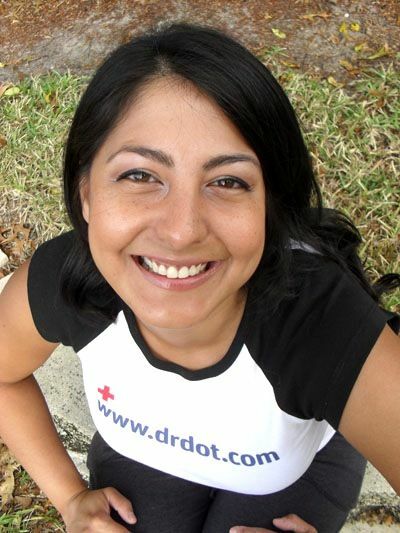 Originally licensed in the state of Florida 13 years ago, Melissa is currently a licensed massage therapist in the state of New York graduating from the Swedish Institute December of 2002. She is a certified member in good standing of Associated Bodywork and Massage Professionals. Her accomplishments in the field of massage earned her the recognition of her peers and the chance to service the world’s most discerning clientele; Melissa is the recipient of numerous glowing “Secret Shopper” assessments earned for her work at Guerlain Spa at The Waldorf-Astoria, The Plaza Hotel, Trump International, Trump World, Trump Plaza, The Ritz-Carlton, The St. Regis Hotel, and The New York Palace Hotel, among other of New York City’s most prestigious venues. Melissa’s passion for massage emerged after an injury from a car accident left her suffering with migraines, which massage therapy helped her overcome. Prior to that she was awarded a full scholarship to the University of Central Florida where she planned to study music performance. Melissa’s migraines interfered with her ability to study – she played the French horn – but her innate sense of rhythm and serenity eased her transition to a new career in massage therapy where she continues to shine. A native of Puerto Rico, Melissa was raised in Orlando, Florida and now calls Brooklyn, New York home. Melissa’s confident welcoming demeanor and easy laugh are among the first things her clients notice – before they even lie on her table, they’re lulled into a state of calm that gently seeps into their stressed-out, overworked bodies and that lasts long after their treatment ends. I went with my friend Gregg Allman to Madison Square Gardens as he was invited to sing one song with the Dave Mathews Band. I find the DMB to be overrated, not my scene, but I get along so well with Gregory and love hanging with him, so I went anyways. It's ALWAYS fun with Gregg.